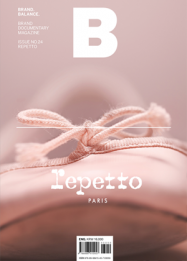 Repetto, a French ballet shoes company, was born in 1947 when Rose Repetto first made ballet shoes for her son, the legendary ballerino Roland Petit. Repetto’s innovative manufacturing techniques and Petit’s experience as a dancer resulted IN shoes of exceptional quality. The features that made Repetto’s ballet shoes great were later employed in the brand’s everyday shoes. The brand underwent further evolution in the 1980s when a new CEO, Jean-Marc Gaucher, introduced an element of fashion to the brand’s original identity as a maker of dancing shoes.